Currently, Dr. Parham serves as vice chancellor for student affairs at the University of California, Irvine. He has held that post since 2011 and has been on the university’s staff for more than 30 years. Earlier, he taught at the University of Pennsylvania. Dr. McEwen has served as interim provost since August 2017. Earlier, she served as dean of the College of Business and vice provost for strategic planning and institutional effectiveness at North Carolina A&T State University. Dr. McEwen has been serving as dean of the College of Business at the university since 2014. Earlier, she was vice provost for strategic planning and institutional effectiveness. Dr. McEwen joined the faculty at the university in 1995. The two Black finalists for dean of education at the University of Missouri-Kansas City are Keith B. Wilson, a professor at Southern Illinois University, Carbondale, and Abul A. Pitre a professor at Prairie View A&M University in Texas. The Southern Illinois University Extended Campus includes all online courses and courses taught at off-campus facilities. Dr. Savage is an associate professor and chair of the department of technology at the university. Archaeological research conducted by scholars at Southern Illinois University Carbondale at the Hickory Hill State Historic Site in Gallitan County, Illinois, dispels local legends that a nineteenth-century estate home was the hub of a Reverse Underground Railroad. Gerry Dozier is currently a professor and chair of the department of computer science at North Carolina A&T State University in Greensboro. He holds a Ph.D. in computer science from North Carolina State University. Nathan Stephens is the new director of the Center for Inclusive Excellence at Southern Illinois University in Carbondale. For the past six years, he was the senior coordinator of the Gaines/Oldham Black Culture Center at the University of Missouri in Columbia. 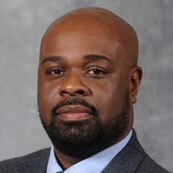 Keith B. Wilson, dean of the College of Education and Human Services at Southern Illinois University Carbondale, has been selected to receive the 2013 Virgie Winston-Smith Lifetime Achievement Award from the National Association for Multicultural Rehabilitation Concerns. Under the agreement the two universities will participate in faculty and student exchanges. Graduates of Harris-Stowe State University will be eligible for in-state tuition rate if they are accepted into graduate programs at Southern Illinois University.